It's so simple and I wonder why the net isn't full of it already. It's a big problem. 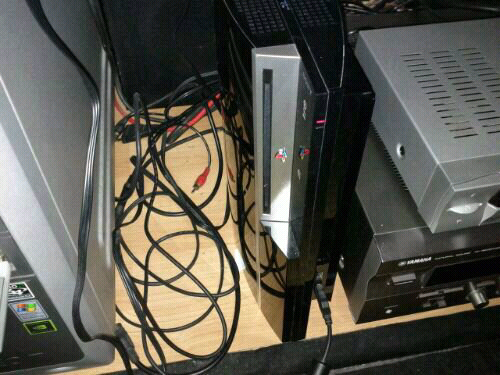 After the PS3 dies, the disc remains in the console and can't be eject the normal way. Turn main switch off (no led is lit). Then press the eject button and turn on the main switch. Hold the eject button. Now you hear the cooler running very loud at full speed. Now wait a couple of seconds and release the eject button. After a while the disc will be released from it's black grave. Thanks to XMen for showing. Now I'm more relieved to sent it to the repairs.